1. 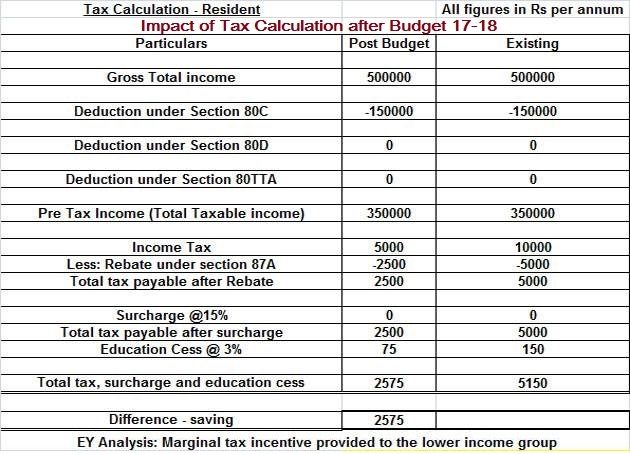 A person with taxable income (after deductions such as Section 80C etc) of Rs 3.5 lakh will pay a tax of Rs 2575 as against Rs 5150 payable earlier. 2. 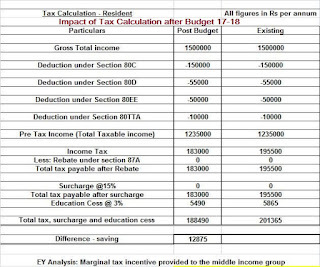 Persons with taxable income over Rs 5 lakh up to Rs 50 lakh will pay Rs 12875 less (including the cess saved), according to EY. 3. 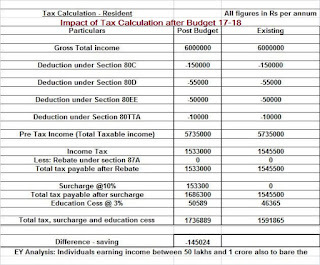 However, individuals with taxable income over Rs 50 lakh upto Rs 1 crore will be paying a flat surcharge of 10% on the total tax payable by them. 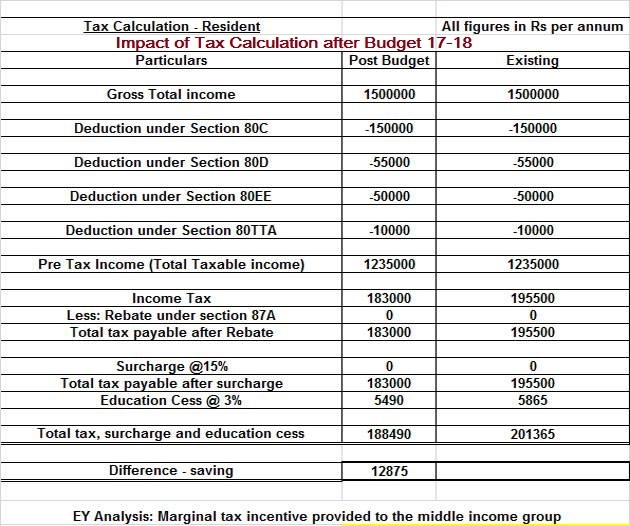 For example, an individual earning gross total income of Rs 60 lakh will pay (after availing tax deductions as assumed in the table) Rs 1,45,024 additional tax due to the surcharge. 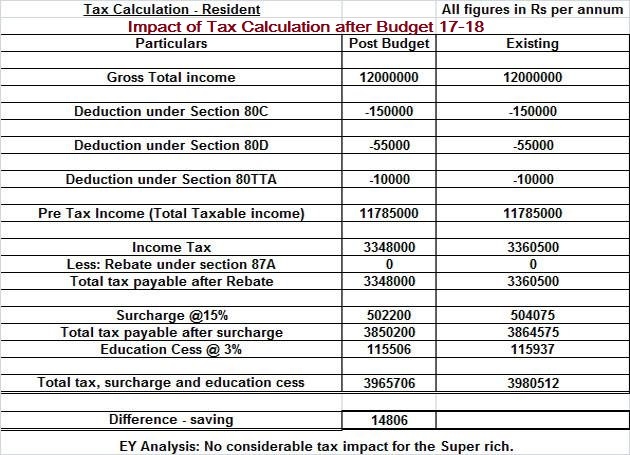 As shown in the table a person with gross total income of Rs 60 lakh who was paying tax of Rs 15,91,865 would now be paying Rs 17,36,889 (after availing deductions and application of surcharge and cess). 4. 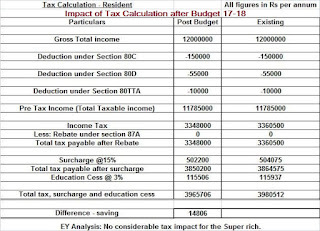 Those with income over Rs 1 crore would continue to pay the surcharge of 15% but would get the meagre benefit of saving Rs 12875 (including saving of cess but excluding the saving on surcharge). 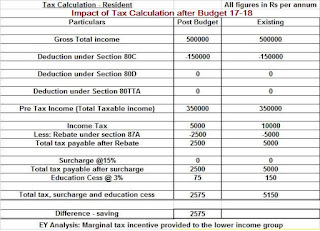 For example, a person with gross total income of Rs 1. 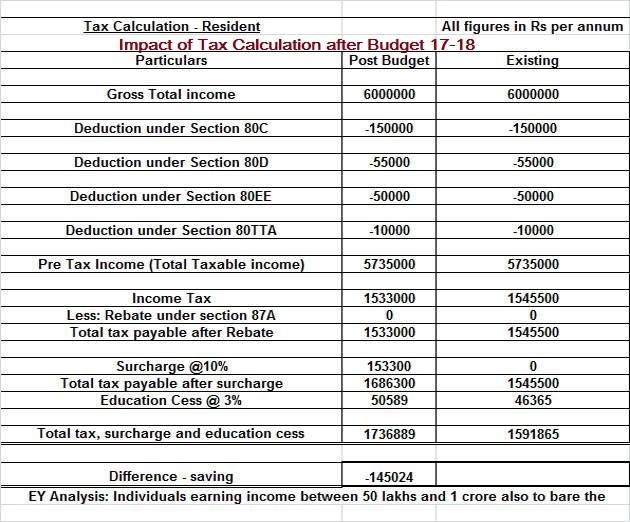 2 crore will pay (after availing deductions) Rs 39,65,706 as taxes including surcharge and cess as against Rs 39,80,512 payable earlier.